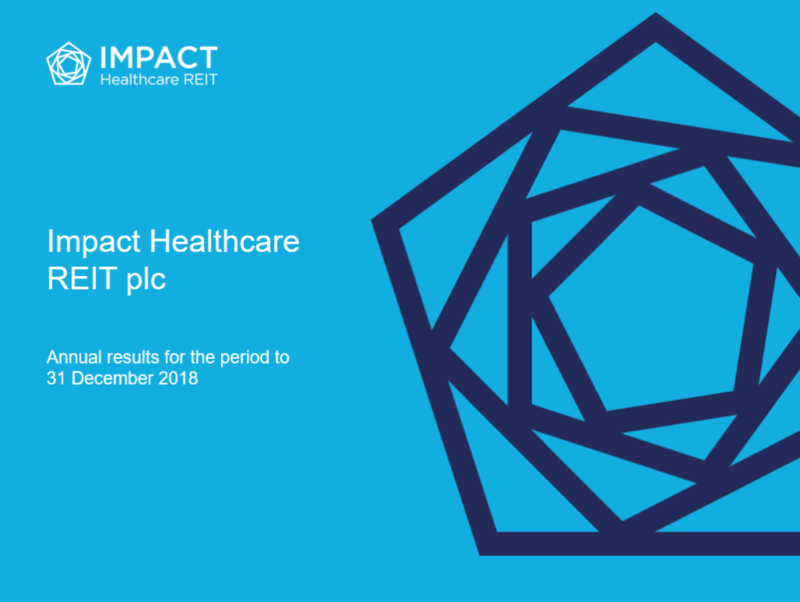 The board of Directors of Impact Healthcare REIT plc (ticker: IHR) (the “Board“), the real estate investment trust which gives investors exposure to a diversified portfolio of UK healthcare real estate assets, in particular care homes, is pleased to announce that the Group has agreed a new revolving credit facility of £25 million (the “Facility“) with Clydesdale Bank PLC (“Clydesdale“). The Facility has a margin of 225 or 250 basis points over three-month LIBOR, depending on the loan-to value ratio of the 14 properties over which the Group has granted security to Clydesdale as security for the loan. 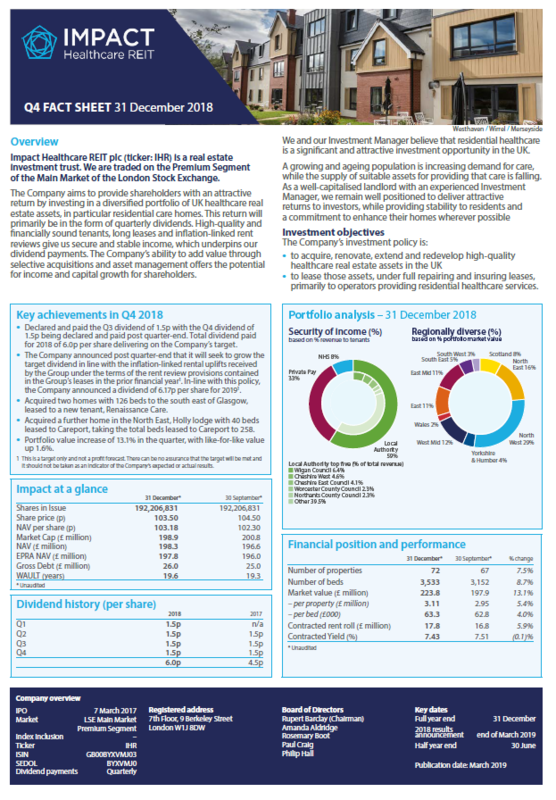 The Facility will help the Group to continue to manage its capital structure in line with its investment policy in a flexible manner and will support the Group with its future growth plans. The Group’s debt facility with Metro bank announced in June 2018 is now fully committed. 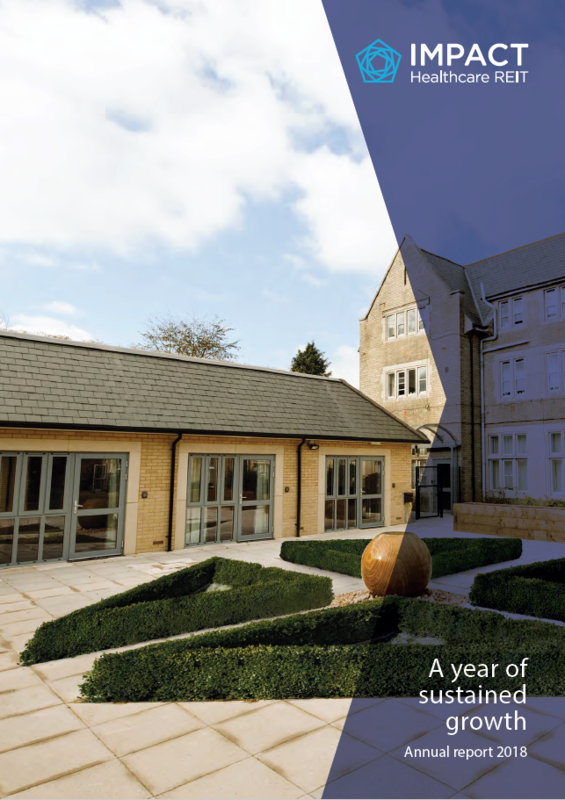 In relation to our current placing programme, a supplementary prospectus in connection with the entry into this facility agreement will be published shortly. Neither the content of the Company’s website, nor the content on any website accessible from hyperlinks on its website for any other website, is incorporated into, or forms part of, this announcement nor, unless previously published by means of a recognised information service, should any such content be relied upon in reaching a decision as to whether or not to acquire, continue to hold, or dispose of, securities in the Company.